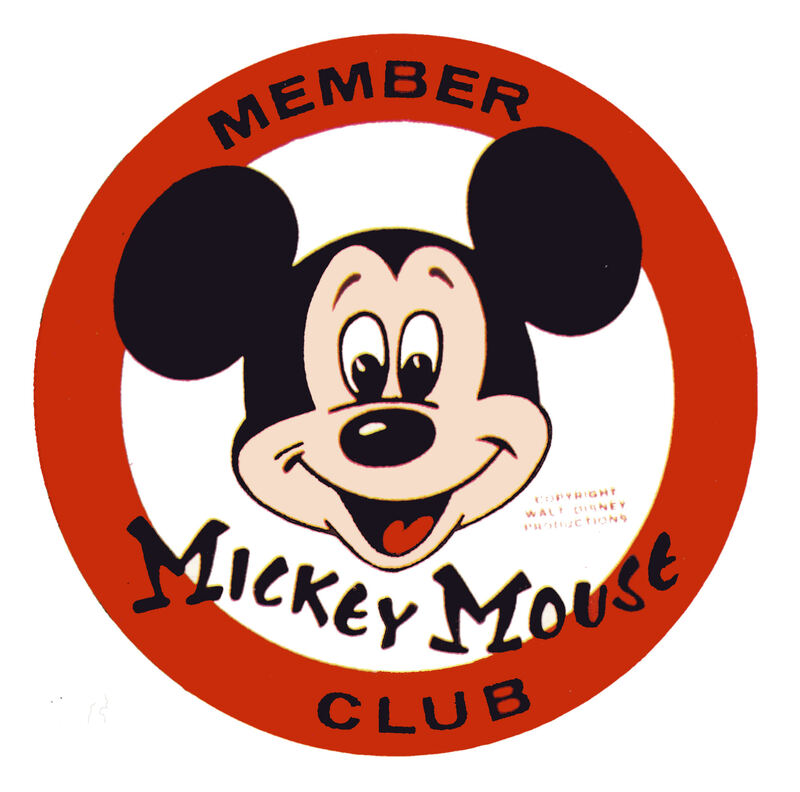 D23 Expo 2015 Celebrates Mickey Mouse Club’s 60th Anniversary and More! Fans of A Goofy Movie won’t want to miss this special commemoration of the beloved Disney animated feature, which turns 20 in 2015. Film producer Don Hahn hosts a panel of A Goofy Movietalent––including Disney Legend Bill Farmer (Goofy), Jason Marsden (Max), Jim Cummings (Pete), Rob Paulsen (P.J. ), and writer Jymn Magon––who will share behind-the-scenes stories and surprising anecdotes from the fan-favorite musical. Author RayPosted on June 30, 2015 June 30, 2015 Categories D23Tags Anaheim Convention Center, D23, D23 Expo, Mickey Mouse ClubLeave a comment on D23 Expo 2015 Celebrates Mickey Mouse Club’s 60th Anniversary and More! It’s not the case anymore that consumers separate technology from toys or even books, so The Walt Disney Co. is streamlining its consumer products and interactive divisions. The company has combined its two smallest segments into Disney Consumer Products and Interactive Media (DCPI), which will be jointly led by co-chairs Leslie Ferraro, president of Disney Consumer Products, and Jimmy Pitaro, president of Disney Interactive. The new structure will “share technological expertise and maximize opportunities and efficiencies” as well as leverage Disney’s licensing and retail relationships across both divisions. A new team called DCPI Labs will focus on using cutting-edge technologies to create new immersive products and report to both Ferraro and Pitaro. Disney Publishing Worldwide will also report to the new co-chairs, while functional areas such as finance, strategy and business development, technology, HR, and communications will be merged into joint teams. Disney will begin reporting consumer products and interactive as one combined business as of the beginning of fiscal 2016. In the most recent quarter, consumer products revenues grew 10 percent to $971 million, while operating income increased 32 percent to $362 million, and interactive revenues slipped 12 percent to $235 million while operating income surged 86 percent to $26 million. 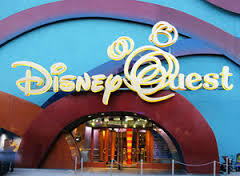 DisneyQuest at Downtown Disney will close next year to make way for the NBA Experience. The 100,000-square-foot indoor virtual theme park and hands-on entertainment center with video and virtual games first opened in 1998 at the entertainment district’s West Side. Ed Chambers, president of the Service Trades Council coalition of Disney unions, said new jobs will be available for DisneyQuest workers. Disney earlier this month announced it was planning a new NBA-themed attraction that will include high-tech experiences, a restaurant and a store. Downtown Disney is currently undergoing an expansion, and it will be renamed Disney Springs. 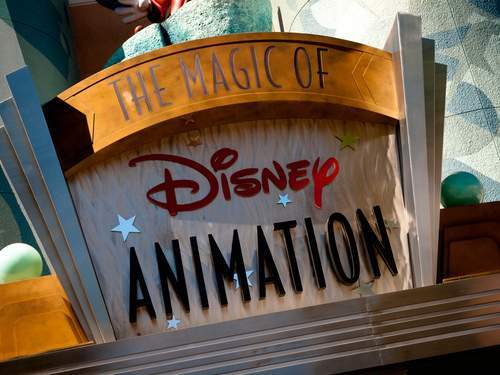 Disney has officially announced that the final day of operation for The Magic of Disney Animation along with the character meet and greets will be July 11th. The Animation Gallery will remain open until sometime in late August. One Man’s Dream is also rumored to be closing around that time. Hiro and Baymax are expected to be saying goodbye to Disney’s Hollywood Studios. 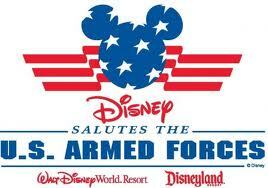 The special pricing that Disney announced last July on theme park tickets and accommodations for active duty and retired U.S. military personnel at Disney’s domestic parks will be extended now through mid-December. Click HERE to learn more about our special military pricing to Walt Disney World Resort and HERE to see details to Disneyland Resort. 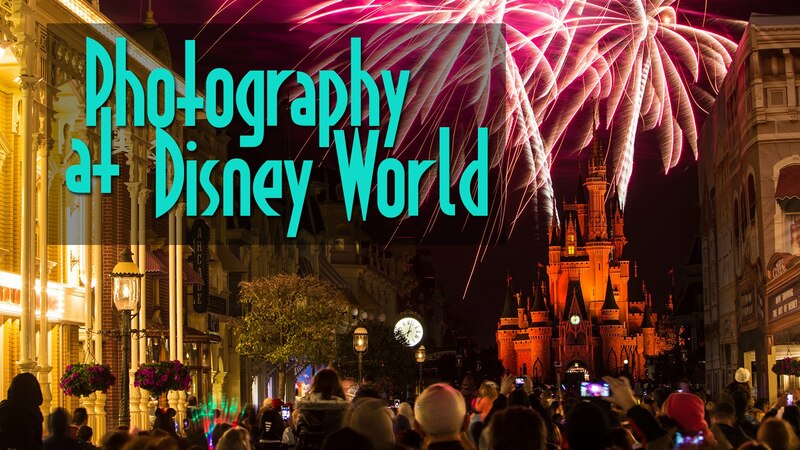 Now’s the perfect time to start planning your next trip to a Disney park for later this year. Tickets must be purchased by Dec. 17 for Walt Disney World Resort, Dec. 18 for Disneyland Resort and used by Dec. 20. 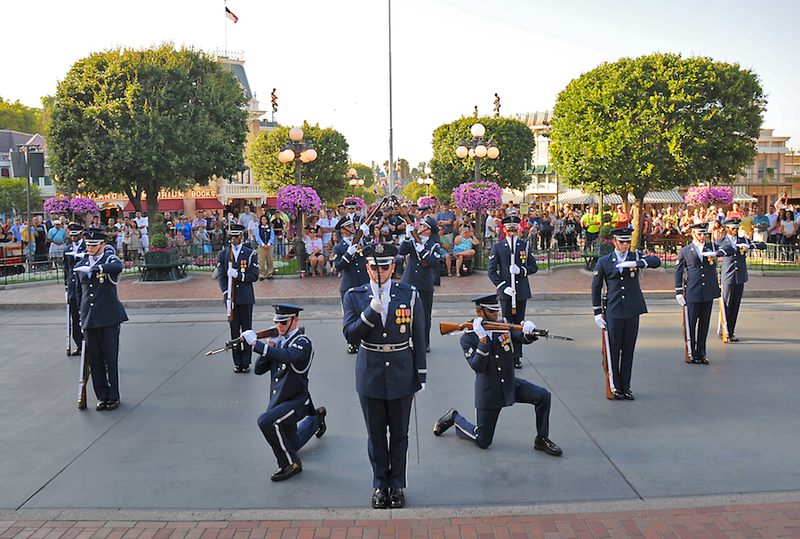 From July 2-5, guests can enjoy more special performances by military acts than ever before, continuing a tradition of inviting the military to perform at Disneyland, started by Walt Disney on opening day. If you are visiting the Disneyland Resort this Fourth of July weekend, you may want to catch one of these patriotic shows! Below is a schedule of performance times. United States Air Force Honor Guard from Washington D.C. There will be a new relaxation area in the Innoventions West corridor near to Character Spot. Known as a D-Zone, expect to see seating, electronic device charging stations, and a couple of food and drink carts starting early next week. The corridor has always been popular with guests to cool-off, but lack of seating usually forces people to sit on the floor. The D-Zone relation area concept began at Magic Kingdom with the introduction of the Fantasyland Tangled restroom area, and the big top area in Storybook Circus. The idea is for for people to have a space to cool down, charge the all-important devices, and to take a break from some of the hustle and bustle of the park. The Walt Disney Co. is seriously considering a $1 billion-plus expansion of the Disneyland Resort with new attractions, a new parking structure with at least 5,000 spots and other improvements to the massive theme park complex. In exchange for the investment, Disney wants the city of Anaheim to forgo a tax on theme park admission tickets for another 30 years, according to a public notice published Thursday by the city. Two members of the Anaheim City Council said they support Disney’s desire to expand without threat of a ticket tax. Two others said they were undecided, while Mayor Tom Tait said he opposed the plan. On July 7, the City Council will hold a public hearing to consider extending the current entertainment tax exemption for Disney that started in 1996 and expires June 30, 2016. “Anaheim has been an economic success story thanks to its policies and initiatives that allow businesses to invest and thrive,” said Michael Colglazier, president of Disneyland Resort. Disney officials said Thursday they don’t know whether the expansion would be an addition to Disneyland, Disney California Adventure or, perhaps, both parks. 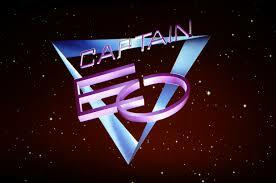 They said there are no plans for a third theme park in Anaheim. Any park expansion is contingent on approval of the ticket-tax exemption, Disney officials said. Under the proposal, the tentative ticket-tax ban could be extended another 15 years if Disney later embarks on a separate $500 million project. Tait supported the current gate-tax ban for Disney during a previous stint on the City Council, but said Thursday he is “wiser” now. Unlike in 1996, Tait said, Anaheim currently faces an estimated $500 million unfunded pension obligation. Councilwoman Kris Murray offered a different take. “History has shown us that a $1 billion investment by Disney will create thousands of new jobs in Anaheim and millions in new revenue for our neighborhoods and vital city services, all without increasing taxes for our residents or creating costs for the city,” she said. An expansion would not be outside the theme parks’ current attractions and parking lot areas, except for the new structure located just east of Harbor Boulevard. Disney already owns that property. Disney officials said they don’t know potential rides, themed lands and other details yet, but said construction would begin by late 2017 and wrap up no later than December 2024. The company now owns the “Star Wars,” Marvel and Pixar franchises and has other options such as banking off its “Frozen” blockbuster. Earlier this year, Disney Chairman Bob Iger told shareholders the company plans to expand the Disneyland Resort and that Disney Imagineers are working on “Star Wars” attractions for theme parks. The expansion of Disney California Adventure, completed in 2012, cost $1 billion-plus and created an average of 1,700 jobs annually over the project’s half-decade. Upon completion, the company hired 5,000 new workers. Disney now has about 28,000 workers in Anaheim, making it the largest employer in Orange County. The latest $1 billion-plus proposal would create another 1,400 jobs, according to a Disney-commissioned report by KPMG, an auditing firm. Anaheim Interim Assistant City Manager Kristine Ridge said negotiations on how to frame a proposed theme park expansion began last month. The city’s first tax pact dates back to when California Adventure was on the drawing board. As a condition of getting that park built, the City Council in 1996 unanimously agreed to pay up to $546 million for a new parking garage on Disney property, repaved streets, redid landscaping and renovated utilities. City officials also agreed not to levy an admission tax on tickets sold at either Disney park for 20 years. 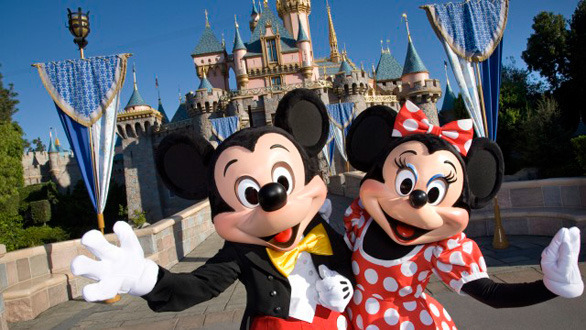 Charging admission taxes to Disneyland has been debated for decades. A proposed 5 percent tax on Anaheim’s entertainment venues gained momentum in 1975, but the City Council changed course after heavy opposition from Disneyland and the Angels. The idea came up again in 1991, when Anaheim officials suggested revenue generated by an admission tax could help pay for Disney’s second theme park. Disney officials threatened to kill the project if a tax was imposed. No Disney park in the world currently has an admission tax. “Disney is a global company and can choose any of their five other locations to make this type of capital enhancement, so we’re feeling lucky,” Ridge said. Under the proposal, if the city did charge an admission tax, that amount would be refunded to Disney, essentially negating the charge. The Angels have a similar pact as part of their lease for the city-owned stadium, due to expire in 2029. Disney has elbow room inside the two Anaheim parks. California Adventure has approval for 3 million square feet of theme-park space but has used only 900,000, according to Anaheim’s master-plan agreement with Disney. Disneyland already has used 2.6 million of its 3.5 million square feet available, city records show. 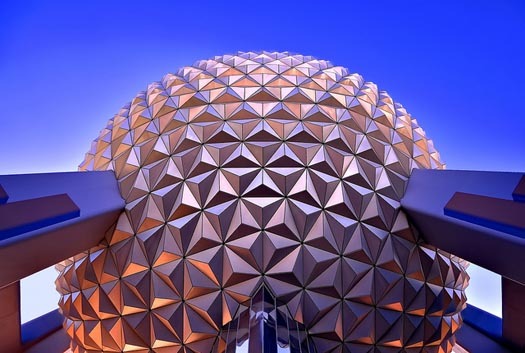 Steve Feicht, a former Disney Imagineer and current designer with Rethink Attractions, predicted Disney would create new lands bases on its new properties. “ ‘Star Wars’ Land is a slam dunk,” he said. Jim Hill, a blogger who covers the entertainment industry, said he believes the company’s potential investment is in response to the revamping of Universal Studios Hollywood, which recently added a “Simpsons”-inspired land, Springfield U.S.A. Next year, that park unveils The Wizarding World of Harry Potter. “I think you’ll see an immersive land that will be an ambitious take on ‘Star Wars’ and Marvel, and in addition to refreshing their other retail, entertainment space and parking situation,” Hill said.